#PlatinumLuxury - Find your way home to this stunning 4BR/3.5BA corner unit retreat! Boasting over 3,000 sq ft, this gorgeous offering simply has it all! The kitchen is more than just a place to prepare food, it is the true heart of the home. Enjoy custom cabinetry, beautiful tile backsplash, restaurant caliber stainless appliances and huge island. Enjoy your carefully prepared meals in the dining area or take them outside to the deck for a more unique experience. The living room is a perfect place to unwind and offers a great setting for guests to gather. 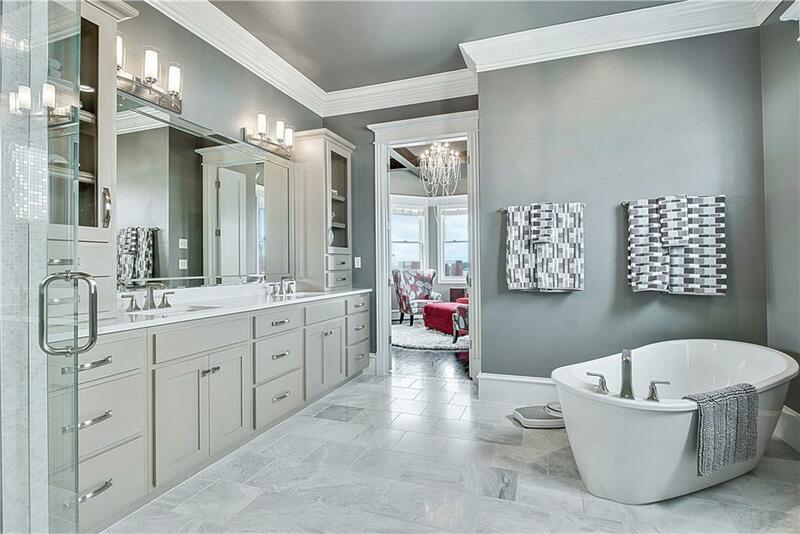 The master bedroom is unbelievable and the ensuite master bathroom is incredibly gorgeous. This home has a storm shelter and a two car garage with epoxy floors. Additional features include zoned geothermal HVAC, Pella wood windows and plenty of additional parking for your guests. Don't miss the one of a kind clubhouse & Resort Style pool! You will want to see this awesome home in person - make an appointment to tour it today!